Taken from Dan Billany and David Dowie's original manuscripts, now in the Imperial War Museum. In May 1949 Longman's published The Cage and generated a run of very favourable reviews; however it was only a partial representation of the work intended by the authors to be called For You the War is Over. This book is intended to take you into the strange world where we have now been living for a year. Naturally a small fee is payable. For as we write this, we are in it. We are not even 'certain' that we shall ever go back to England. At the moment there is not a whisper of release, and the war seems well able to go on for ever. Freedom is a hypothesis, prison is a fact. Two principal tasks were in involved in the restoration of For You the War is Over.The first was to revise the text of the 1949 edition so that it more accurately reflects the final draft of the manuscript. Thus previously omitted passages have been reintegrated, while other sections altered or amended in various ways have been returned to their original form. 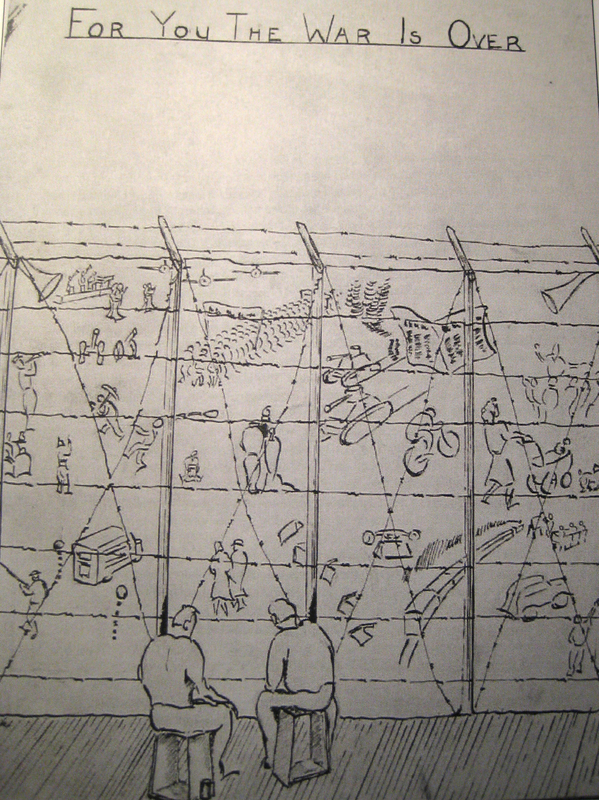 Second, the illustrations - hitherto unavailable to the public have been included.The thumbnail sketches have been placed in or around the text as close as possible to their original positions,at least as far as the transcription from longhand to word-processed typescript allows, while the larger scenes of prison-camp life return to their key roles as text in their own right. In addition, certain other portraits and scenes from the notebooks, although apparently not intended by the authors for inclusion,, have been employed to add variety and depth to the largely unembellished latter part of the work, and so provide some balance to the much illustrated episodes of the earlier part. Another stage of the project will entail the addition of notes and appendices drawn from the notebooks, earlier drafts and other works by Billany and Dowie, as well as broader background and contextual information as aids for contemporary readers and researchers. There is no question that The Cage, even in its first published form, is a remarkable work and a noteworthy addition to the canon of WWII and PoW literature. It is hoped that in its restored form as For You the War is Over it will be recognised both as a unique and groundbreaking tour-de-force in war writing, and for its potential to contribute even further to our understanding and appreciation of that body of work and of the times and the people who helped to create it. 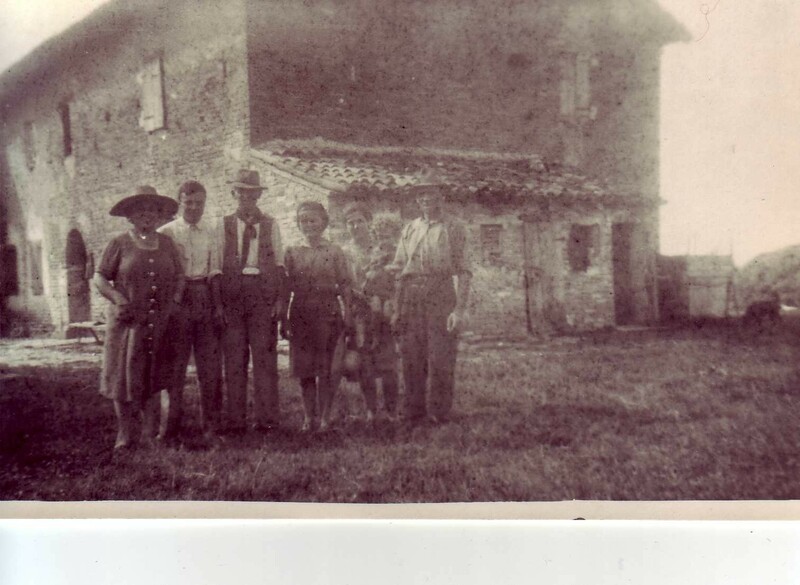 The Fontanella family, ordinary people, who like the Melettis and many others, risked their own lives giving Dan and David shelter from the Germans . When WWII was over Dino Meletti sent a parcel to the Billany family — it contained the manuscripts to The Trap and The Cage (For You the War is Over) which Dan had entrusted to his safe keeping. Colonel Eugenio Vicedomini ran Fontanellato, Camp PG 49. In September 1943 as the Italian Armistice approached the Colonel proved to be a man with strong moral principles. Going against orders to wait for the Germans to arrive and transport the prisoners to a camp in Germany, Vicedomini, with Lt Col Hugo de Burgh, the Senior British Officer in the camp organised freeing the prisoners. 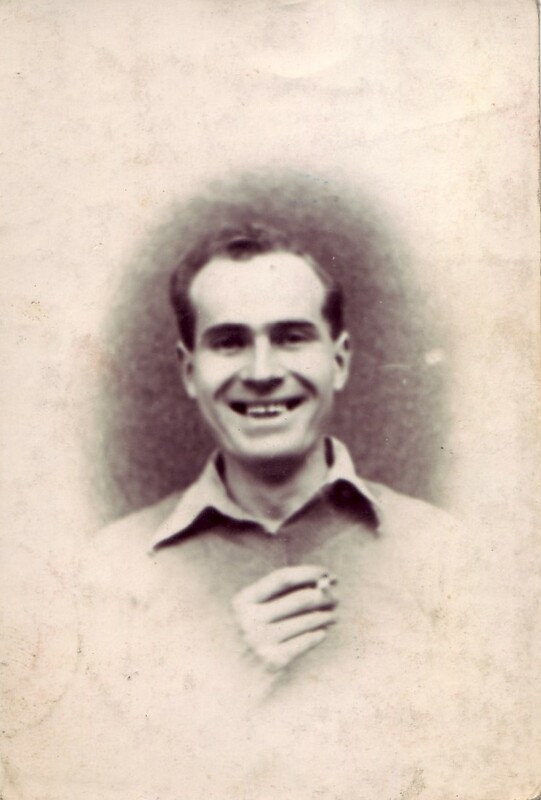 And so it was that Dan Billany and David Dowie with all the other PoWs left Fontanellato. However, Colonel Vicedomini stayed to face the Germans. A valiant deed which was to cost him dearly. 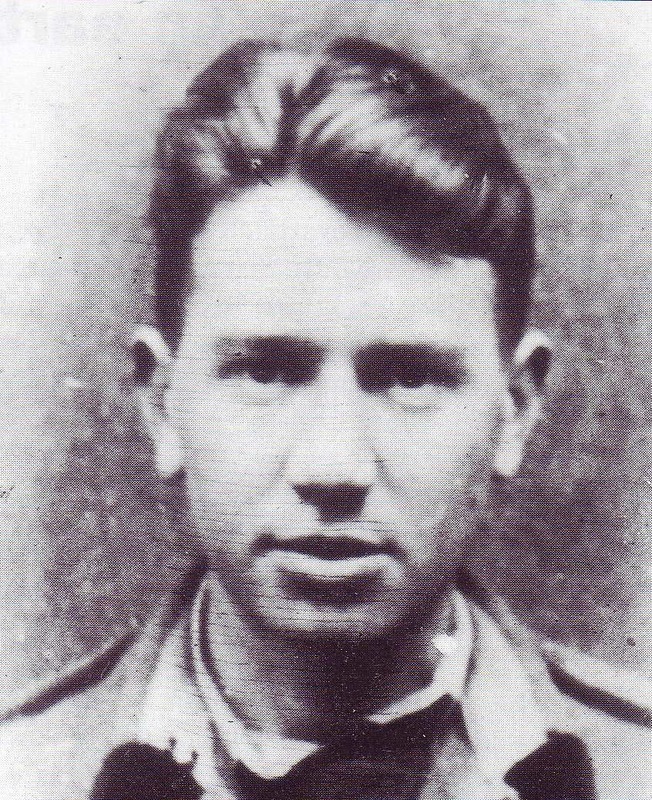 When the Germans arrived to find not a single Allied prisoner, they took him instead. Arrested, he was sent to a camp in Poland. Badly treated and in poor health he returned soon after the war ended to die in Italy. Meanwhile, although Dan and the others were no longer prisoners, they were far from safe. The Allied Lines lay 500 miles south. 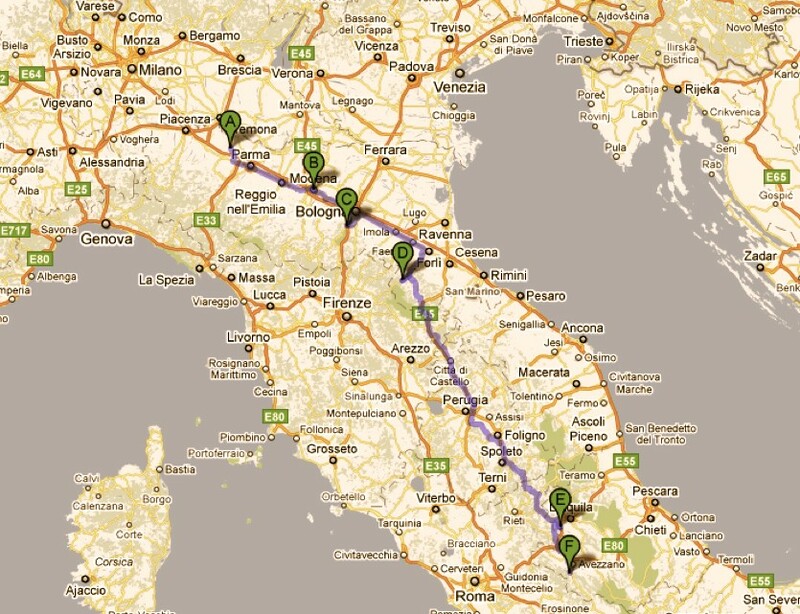 The map shows roughly the route taken by Dan and David from Fontanellato to Capistrello. Sympathetic Italian families gave them food and shelter along the way, risking their own lives in doing so. It was the practice to leave a chit with their hosts; a simple bit of paper with their names on it, stating that the holder had looked after them, the idea being that the British Government would recompense them for their trouble. The last chit signed by Dan, David and Alec Harding to be handed in was from Capistrello, dated 20th November 1943. On leaving they are presumed to have headed south. 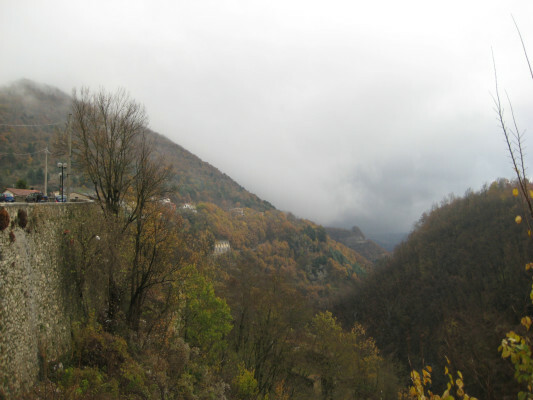 As can be seen from the picture of Capistrello (right) the journey was going to be far from easy - in a mountainous territory, crawling with Germans and bitterly cold the three friends vanished. To this day their fates remain unknown.